In a scramble to keep people enrolled in health care plans, what did New Jersey, Vermont and the District of Columbia do earlier this year that California has not done? They began requiring that their residents carry health coverage or face a state penalty for going without it. Such “individual mandates” aim to replace the federal mandate—perhaps the most controversial but essential part of the Affordable Care Act, often called Obamacare —that sought to force people to sign-up for health insurance or pay a tax penalty. The Republican Congress and the Trump administration have repealed that federal penalty, effective next year. The clock is ticking. 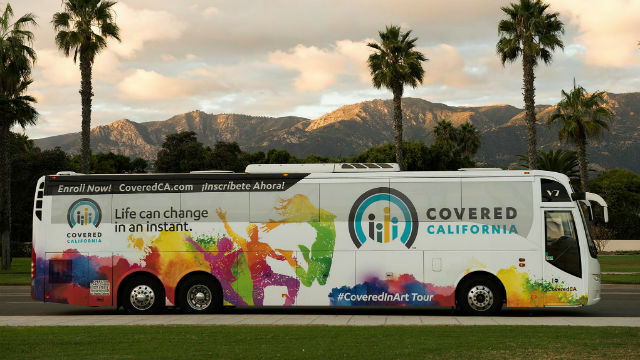 Obamacare has led to a record number of Californians having medical coverage. But a new study warns that if the state does nothing to counteract the Trump administration’s moves to undermine Obamacare, up to 1 million more Californians could be without health insurance within the next five years. What’s kept California from enacting its own mandate? Some state Democratic leaders are wary of enacting a state mandate without also making health insurance cheaper for Californians. Sacramento State Sen. Richard Pan, a Democrat who chairs the Senate Health Committee, said the Legislature is focused on keeping the state’s insurance market exchange, known as Covered California, strong. Some 2 million Californians buy health coverage through the exchange, which provides federal subsidies to low-income purchasers. “We are going to do what we can in California to stabilize the insurance market, to do what we can to make health insurance, particularly on Covered California, affordable,” said Pan, who has not yet endorsed any particular remedy. “We are up against a federal administration that is doing the opposite and forcing people to pay higher premiums. “As we look at options, like do we want to do an individual mandate, we also need to recognize part of what is driving that is not only the removal of the federal mandate, but also actions taken to increase insurance premiums,” said Pan. Since the Affordable Care Act was implemented in 2013, the state’s uninsured rate has dropped from 20 percent to 7 percent. Currently 3.4 million Californians are uninsured, undocumented immigrant adults making up the majority of that group. But without more aggressive state intervention to counter Washington’s retreat from the program, an estimated 500,000 to 800,000 more Californians under 65 will be uninsured by 2023, according to the new study from the UC Berkeley Center for Labor Research and Education and the UCLA Center for Health Policy Research. A mandate and state subsidies are among options the Legislature will be exploring to combat the expected exodus from insurance. But both are controversial. An Economist/YouGov poll found that 66 percent of Americans oppose a mandate. And although a few other states such as Vermont and Massachusetts do offer state subsidies, in California state subsidies could cost up to an estimated $500 million, at a time when an incoming Democratic governor and Democratic supermajorities in the Legislature have promised pricey programs such as universal healthcare and universal preschool. So far Covered California enrollment, now underway through Jan. 15, is meeting projections—with a big caveat. As of the end of November, more than 90,000 newly insured people signed up, said Peter Lee, its executive director. But those projections already were lowered by 10 to 12 percent compared to last year because it was unknown what effect the removal of the penalty would have on sign-ups. Covered California is working on a report commissioned by the Legislature on how to best bolster the system. It’s due in February, and Lee said a variety of options are on the table including a mandate, expanding subsidies and using state money to lower premiums, a process called reinsurance. Some of those ideas echo the recommendations UC researchers offered in their study: incorporate a state mandate with penalty funds going to toward making insurance more affordable, state-funded subsidies in addition to the existing federal subsidies, and a Medi-Cal expansion to include low-income undocumented immigrants. These are not new ideas but they are politically and financially costly, said Gerald Kominski, a fellow at the UCLA Center for Health Policy Research. Some advocates agree that a potential state mandate must also include a mechanism for making insurance more attainable. Under the federal mandate, Americans were compelled to carry health insurance or pay a penalty of $695 per adult or 2.5 percent of household income, whichever is higher, unless insurance costs more than 8 percent of a household’s income. With the repeal of that ultimatum, California is bracing for the biggest dropouts among its residents who have been buying insurance through the subsidized Covered California program. The program projects it could lose 10 to 30 percent of its participants. But the state also expects wider losses, including among the 46 percent of Californians who get insurance through employers, because they also will no longer be required to have it. Even Medi-Cal, the state-paid program for low-income Californians, will lose about 350,000 people, the study estimates, because the lack of a federal mandate may deter people from seeking health coverage at all—meaning they’ll never discover they qualify for Medi-Cal. Last year the California Legislature considered creating a state mandate as part of budget discussions that included making insurance more affordable, but neither idea made it into the final budget proposal submitted to the governor. Experts and advocates are hopeful that these ideas may gain traction under Gov.-Elect Gavin Newsom, who has talked a big game on health care and access pledging during his campaign to support single payer and universal coverage. If more Californians drop their health insurance, everyone pays. People most likely to drop out are the young and the healthy, expert say. But they are critical to keeping the whole operation afloat because the system cannot be made up of only sick people. California already has taken steps to shore up the Affordable Care Act: banning short-term health plans, adopting legislation barring work requirements for Medi-Cal, and offering a longer open enrollment period.